Fast and Effective Way to Rapidly Lose Weight GUARANTEED!!! 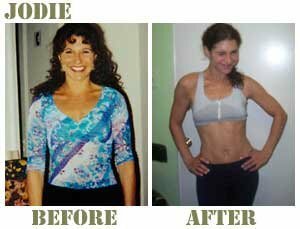 Home Home BLOG --BLOG SPOT Personal Training --About Us --Our Mission 1-10 --Our Guarantee --General tips ---Keep the Carbs in your diet ---Home workouts made easy ---Do you have problems losing pounds of fat vs muscle? ---Time for heavy workouts ---Effective dumbbell exercises ---5 Fitness Steps ---Change your Water... ---How to get ripped fast Lose 15-30lbs --LOSE 15-30 Lbs IN 23 DAYS! --Three Kinds of Fat --Fat on the Move --Hypothalamus Function --Commit and achieve --Now you have options. --COUPONS Services --Teeth Whitening --Body Blueprint Analysis --Fitness Center LA ---Teeth Whitening Los Angeles ---Weight loss Centres Los Angeles ---weight control programs ---Spa clubs LA ---Weight loss programs ---Weight loss clubs LA --BOOTY CAMP --Body Type Test --Beach Body Boot Camp Contact us FAQ --FAQs on Personal Training --FAQs on Weight Loss Testimonials BookNow!